Hi All, another late, to the wire submission for the Daring Cardmakers challenge. This weeks theme is 'Suitcase'. 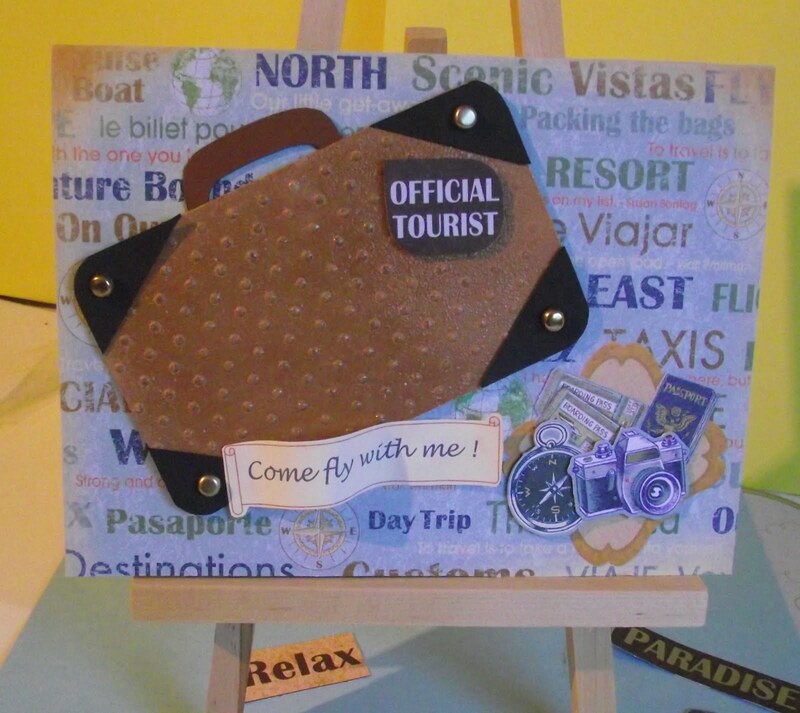 I started my card with the subject - the suitcase. 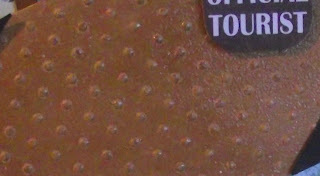 I ran some light-brown coloured cardstock through my Big Shot machine embossing it with a dotty embossing plate. I then stamped over the raised side of the paper with an embossisng pad and dusted it with clear embossing powder and heat set it. The effect was 'sort-of' a patent-leathery look. I added a dark-brown handle and some corners of black cardstock held on with ordinary office brass brads I finished off by rounding the corners and viola! there was my suitcase. I was fortunate to have a travel themed scrapbook kit and I was able to pull the background paper and embellishments from this. I am quite please with my 'Come fly with me!' card and I hope you like it too. Thanks again for stopping by and don't forget to leave your comments. I love to hear from you. Lovely card, love the camera and compass details. Thanks for playing along at the Daring Cardmakers this week! Great card for the dare, love the details.